Meals like this remind me that I don't have to have a tortilla to enjoy Mexican food. It's delicious and satisfying, and best of all low-carb! Plus if the rest of your family insists on the traditional meal, they can use the same filling in a tortilla, so you can stay on your low-carb diet without having to make two different meals. Score! Cooked Chicken - I just boil some chicken breast until done, then shred or chop. You can also use leftover chicken if you happen to have cooked extra. You can also use zucchini or squash if you like. Anything goes! 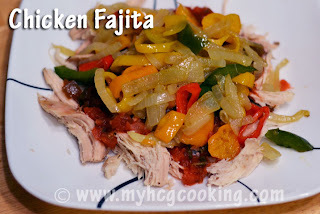 Mix cooked chicken with fajita seasoning of your choice, or just some garlic powder, cumin, and chili powder. Saute veggies in butter or olive oil until done, about 15 minutes. Top shredded chicken with sauteed veggies, chopped tomatoes or salsa, and cheese if desired. Serve! 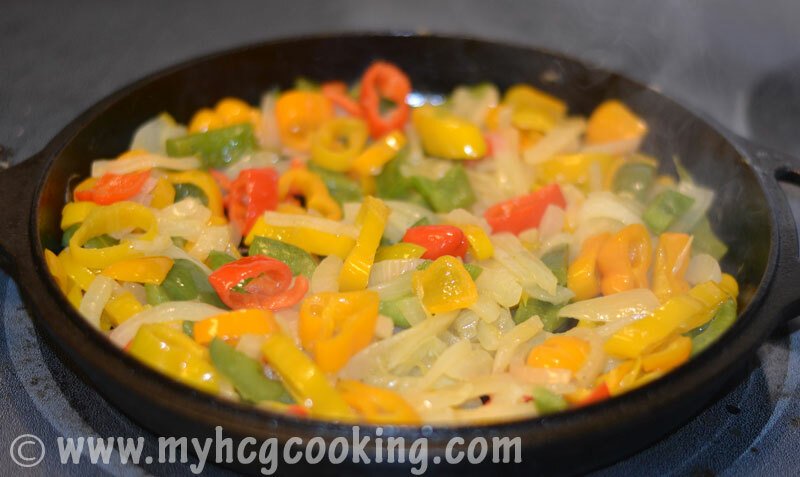 Chicken Fajitas are one of the best chicken recipes you can make at home and is very good for dinner. Also you can check chicken breast recipes at Gourmandia.